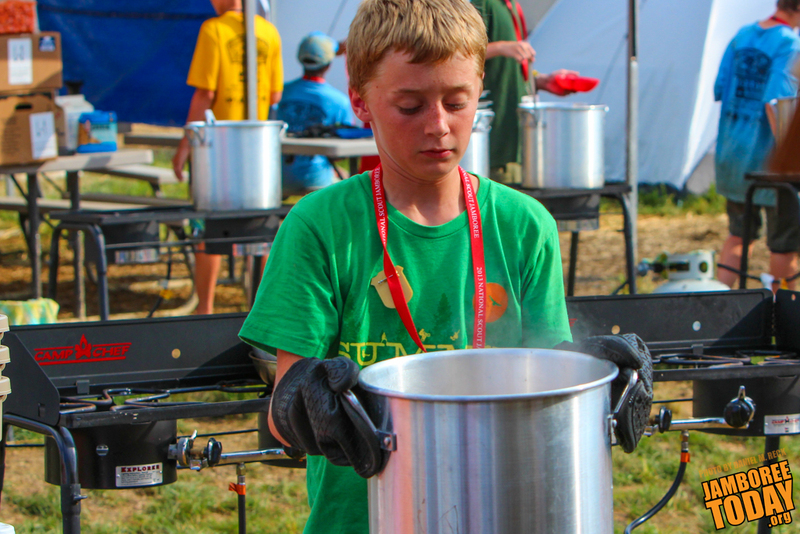 Nearly 20 18-wheelers full of food and 250,00 pounds of ice are only a small portion of what goes into daily food operations at the Summit Bechtel Reserve, says Eagle Scout Ray Porter of Waxahachie, Texas., the media and communications manager of the 2013 National Scout Jamboree food team. "It's a tremendous undertaking. 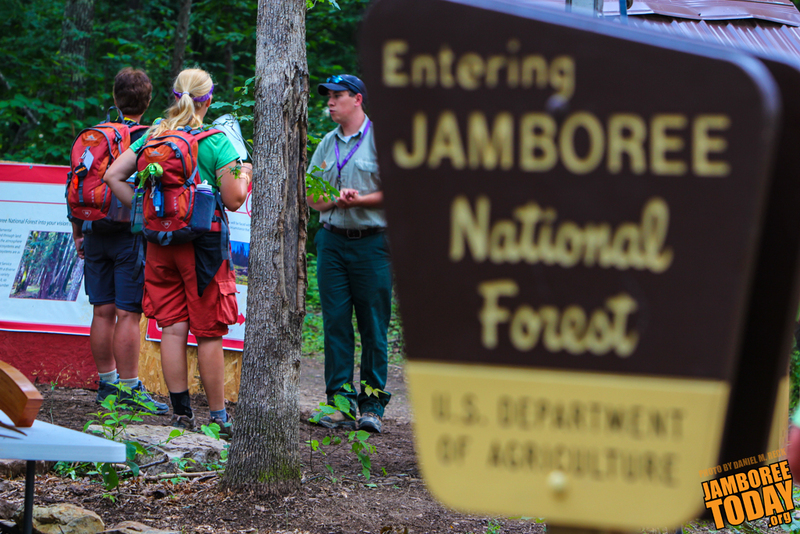 If the food [team] screws up, everyone's upset" says Porter describing the food team's planning and logistics that began immediately after the 2010 National Scout Jamboree ended at Fort A.P. Hill, Va.
"We can specialize in everything," says Mike Shrum, a technician at the Summit Bechtel Reserves new health lodge. The large multi-room medical complex houses specialty equipment as well as professionals trained in numerous fields. 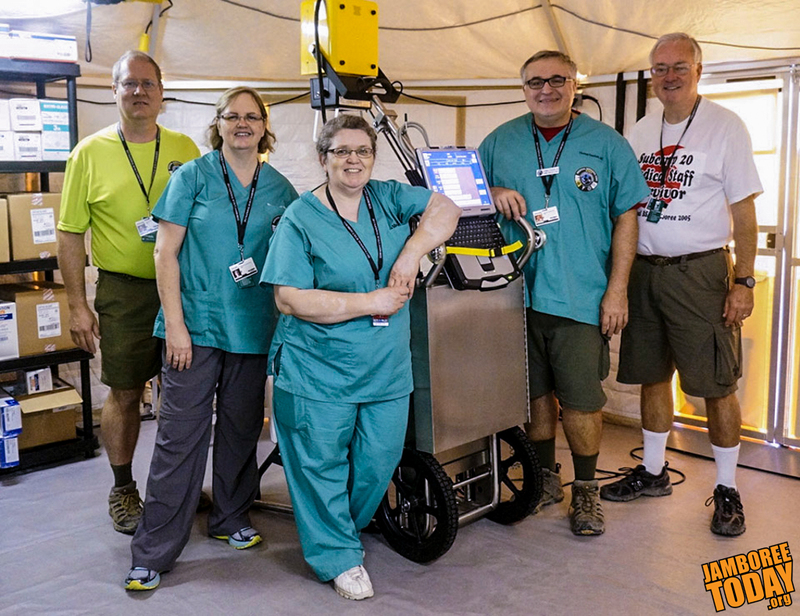 The advanced facility is a place no Scout or Venturer wants to end up, but if they do the medical professionals there and across the 2013 National Scout Jamboree are ready to care for them. 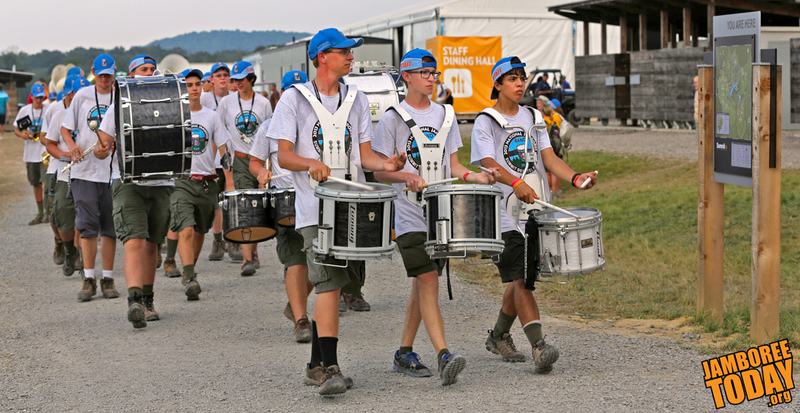 Stadium Show Rescheduled to 4 p.m.; Pre Show at 3 p.m.
"According to weather forecasts, significant inclement weather is possible on Saturday," says Boy Scouts of America spokesperson Isaac McDaniel in a statement issued at 10:30 p.m. Friday. "Storms with lightning, high winds, and heavy rain are predicted. As a result, the program schedule for Saturday was adjusted." 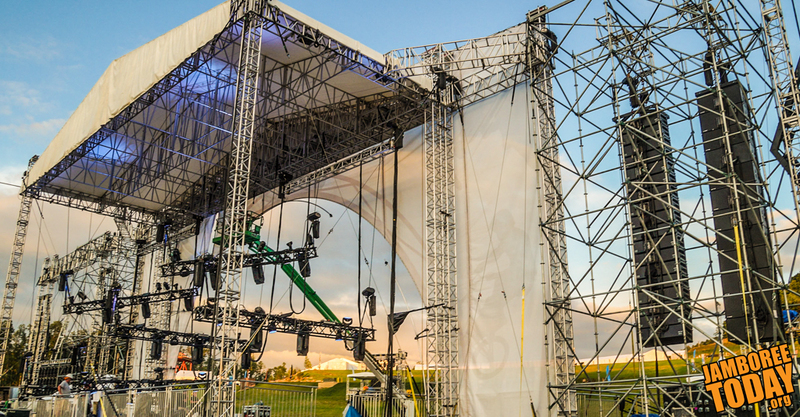 Read more: Stadium Show Rescheduled to 4 p.m.; Pre Show at 3 p.m.